Home Tags Posts tagged with "Rafic Hariri"
The trial of Lebanese PM Rafic Hariri’s murderers has begun at an unprecedented tribunal at The Hague. Mustafa Badreddine, Salim Ayyash, Hussein Oneissi, and Assad Sabra – alleged associates of the Syria-backed militant Shia movement Hezbollah – have not been arrested and are being tried in absentia. 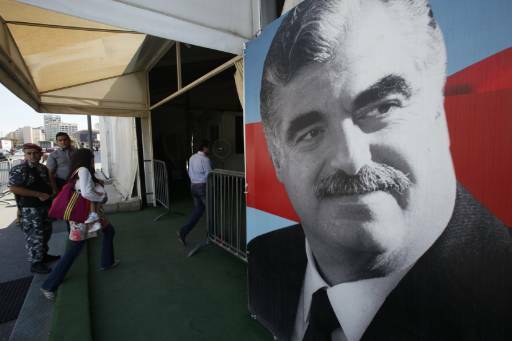 Rafic Hariri was killed by a massive car bomb in Beirut in 2005. The killing polarized Lebanon and led to the withdrawal of Syrian troops. Hezbollah denies any involvement. It instead says the assassination was part of an Israeli and US conspiracy. Shortly before the trial was to start, a bomb blast was reported near a government building in the town of Hermel – a Hezbollah stronghold. At least two people were killed and 15 wounded in the attack in the town, which is in the Bekaa Valley, near the northern border with Syria. In his address at the start of the trial, judge David Re said it had been decided that all necessary steps had been taken to try to bring the accused to court. He said that the court would proceed as if the defendants were present and that, although no pleas had been entered, they would be presumed to have pleaded not guilty and it would be the prosecution’s task to prove guilt beyond all reasonable doubt. A summary of the charges was read and the prosecution has begun its opening statement. Rafic Hariri’s son, Saad, and other family members are at the trial. On February 14, 2005, the bomb attack that killed Rafic Hariri and 22 others and wounded 226 more was a seismic event in Lebanese history, fuelling the sectarian divisions between Sunni and Shia Muslims in the country. Supporters of Rafic Hariri, one of Lebanon’s most influential Sunni leaders, blamed Syria for the attack. There were massive demonstrations against Syrian troops who had been stationed in the country since 1976. They left a few months later. The UN set up the Special Tribunal for Lebanon in 2007 to investigate the bombing. It issued warrants in 2011 for Mustafa Badreddine, Salim Ayyash, Hussein Oneissi, and Assad Sabra. They face counts ranging from conspiracy to commit a terrorist act to murder and attempted murder. Mustafa Badreddine is alleged to have been a senior Hezbollah military commander. There is a fifth suspect – Hassan Habib Merhi, 48, – whose case may be joined to this trial at a later date. The trial will hear 500 witness statements and could last months and possibly years. Our correspondent says the evidence against the four suspects appears to be largely based on analysis of mobile phone networks. But Hezbollah leader Hassan Nasrullah says it was Israel that tracked Rafic Hariri’s movements by satellite, penetrating the phone system to falsify records and masterminding the assassination to discredit and undermine its enemies. Sunni-Shia tensions remain high in Lebanon – exacerbated by the Syrian civil war. Shia-group Hezbollah has been fighting alongside Syrian President Bashar al-Assad’s forces.